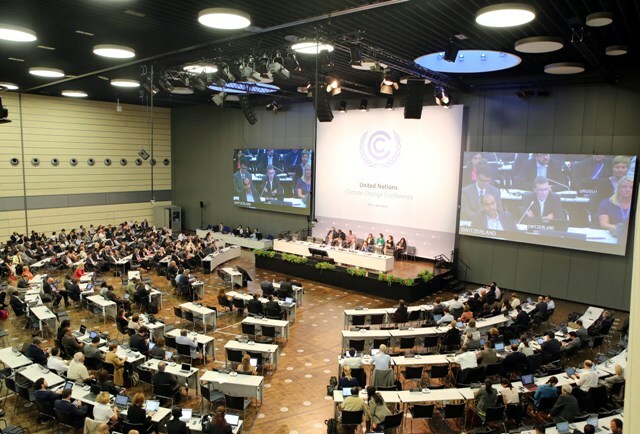 With less than five days of negotiation left in the race to Paris COP 21, all parties attending the negotiations in Germany complained that discussions at the Ad Hoc Working Group on the Durban Platform for Enhanced Action (ADP) were superficial. While there has been no significant improvement in finalising of the text, reports on developments have been presented in the discussions informally. With the announcement to issue a new "basis" text for the Paris deal in the first week of October, things seem to be moving in the right direction. Part one comprises of provisions that are by nature appropriate for inclusion in an agreement. Part two contains provisions that are appropriate for inclusion in a decision. Part three contains provisions whose placement requires further clarity among parties in relation to the draft agreement or draft decision. But with little progress being made, groups have proposed different methods to give a push to the process. The African group suggested a clearer mandate for the co-facilitators to act. The Umbrella Group (non-EU developed countries) proposed that work must occur within spin-off groups, while others wanted to directly proceed with text-based negotiations. A number of spin-off sessions were held on issues of contention like differentiation, adaptation, loss and damage and long-term goals. The objective of the spin-off was to develop common understanding of a specific issue in a small group and then bring it to a bigger group. But it has been seen as a way of slowing down the process with too many spin-off sessions at the same time, making it difficult for countries with smaller delegations to attend. There has also been discomfort among parties because the text has not been discussed yet. Developed countries have reiterated that the outcome should be based solely on mitigation-centric goals while developing countries continue to stay committed to elements discussed in the Durban decision (mitigation, adaptation, finance, technology development and transfer, capacity-building and transparency of action and support). Discussion on loss and damage has been the highlight of ADP2 with a number of negotiation groups stressing the need to address them and to move them into the negotiation text. AOSIS (Alliance of Small Island States) reminded parties that even if a two-degree limit was agreed upon, it would prove to be an existential crisis for them with sea levels rising rapidly. They called for parties to cut the limit down to 1.5°C. AOSIS also asked developing countries to stand by their commitment of providing US $100 billion every year up to 2020 and scaling up their effort post-2020. It has been reported that the US and the EU are considering loss and damage options for the Paris deal, which is the only sign of hope for non-annex countries to address adaptation and loss and damage in the final text. There has been an emphasis on trust and fulfilling of pre-2020 targets to gain the trust of all parties.